Later this year, citizens of Ireland will be able to buy an official passport-style identification card that uses a selfie for the photo. Flashing the card at the airport will allow the owner to travel throughout Europe without an actual full passport. To get the card, an official app will be produced, through which personal details will be added, and the all-important selfie snapped. That’s right, your selfie will taken using a government sanctioned photo app, and can’t be one you shared on Instagram, or tweaked using the many beautification tools available through standard camera apps. Expect some clever facial recognition tech to delete pictures featuring duck faces, horse’s head masks, or photo bombing animals. Once the card has been delivered, it’ll be valid for five years, dashing any dreams selfie fans had for updating the picture each day. While the card won’t be used for travel outside the European Union, it will have other uses. For example, it could be used as a backup should the owner lose their full passport, or serve as a temporary travel permit while it’s being renewed or replaced. Because it’s credit card sized, it’d be handy identification too. Several European countries already allow people to travel between countries using a national identification card. 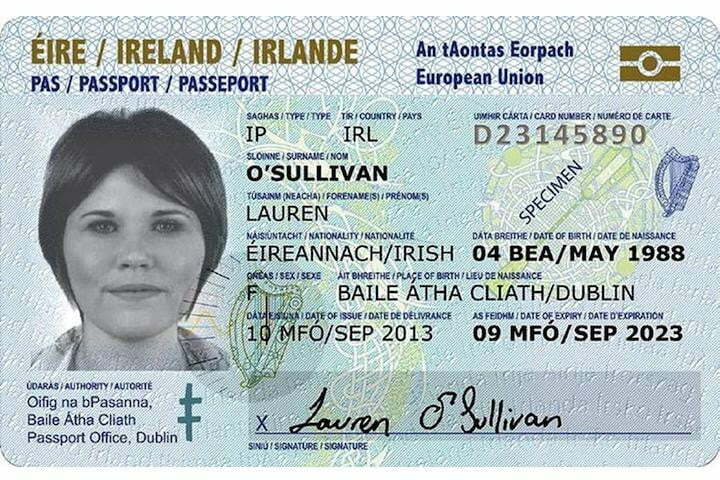 Currently, the passport card is only due for launch in Ireland, and it’ll be available from July this year, when it will cost 35 euros, or about $40. It’s not clear whether this is a trial run for a wider launch through the rest of the UK, or out into Europe. Should the scheme prove successful, selfies could be approved for use on other official documents, provided it’s taken using a dedicated and approved smartphone app. The announcement also links into new reports Delaware plans to introduce a digital driving licence in 2016, which unlike the selfie passport, wouldn’t be accompanied by a physical version at all.